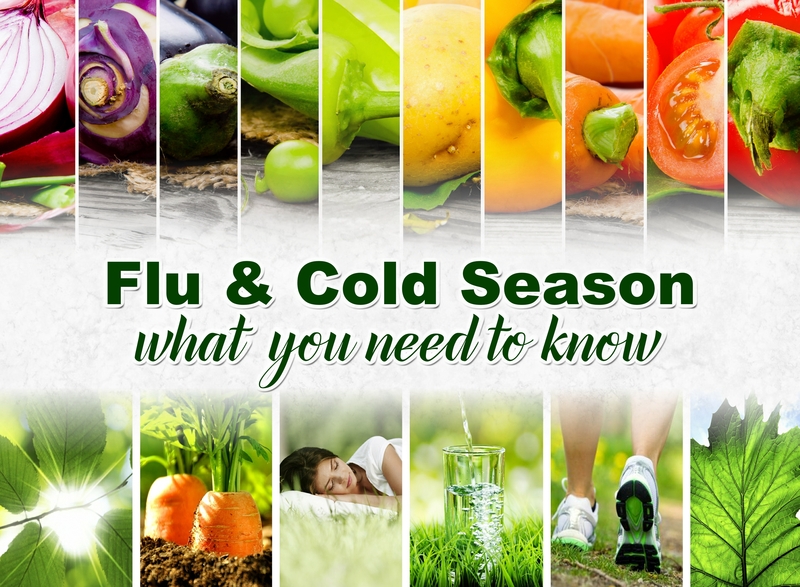 As autumn appears with winter on the horizon, the flu and cold season begins to emerge. Influenza (flu) is an illness that gets a tremendous amount of media attention in our day – almost to the point of fear and panic. Every year extensive marketing reminds us that flu vaccinations are available (even at your local drug stores, grocery stores, etc.) and highly recommended for the elderly, young children, pregnant women and those in the “at risk” population. In this article, I would like to discuss what we know about the flu and cold season, and what the story is behind all the hoopla behind the hyper-marketing of the flu vaccine. Should we be concerned about the flu? Yes. Should we panic? No. Let’s take a look at the facts. Influenza, or the flu as it is commonly called, is a viral infection of the upper respiratory tract. It is highly infectious, and caused by a variety of strains of the influenza virus. Its victims suffer symptoms that are similar to those of the common cold, but often more intense. Influenza is generally categorized into three types: Types A, B, and C. Type A is the most versatile, as it can infect humans and animals such as birds, pigs, and horses. The other two can only infect humans, but Type A is responsible for the majority of flu cases. While the flu is seemingly widespread at times, it is often given credit for things in which it is not responsible. For example, the term “stomach flu” is often heard. The truth is that influenza is primarily a respiratory illness, and very rarely does it attack the gastrointestinal system. Such attacks are usually due to bacteria such as E-coli, salmonella, or shigella. Precautions that help with possible complications from the flu, especially for pneumonia and other respiratory diseases as well as heart conditions and any chronic illness, are highly necessary. Part of the reason the flu is so feared by some, is the history of the illness, and the deadly impact it has had on the world’s population in times past. Even today, estimates indicate that 20,000 Americans die per year from the flu and its related complications. However, most of these fatalities are elderly folks and those who already have compromised immune systems. Flu epidemics have swept the world from time to time, and some of them have been very lethal. In 1918 and 1919, the Spanish flu killed an astounding 20-40 million worldwide. Approximately half a million of those deaths were here in the United States. The most recent outbreaks of any significance were the Asian flu in 1957 (70,000 deaths in the U.S.) and the Hong Kong flu in 1968 (34,000 deaths in the U.S.). History references influenza all the way back to the ancient Greeks when the belief was that bacteria and “bad air was the cause of influenza. They weren’t too far off considering their limited medical knowledge. The identification of influenza as a viral infection was not until 1933. The effects of the flu often hit hard and fast. Commonly the illness will start with a headache, dry cough, chills, body aches, and then a fever of up to 104 degrees F. After the fever peaks, a sore throat and congestion often develops. Severe fatigue is typical, and it may linger for days or weeks. That’s pretty much it for the flu itself. Most other symptoms are attributable to secondary infections that often are bacterial in nature and focus on the lower respiratory tract. Just when you catch your breath from the first attack of the flu itself, here comes another truck to hit you. The secondary infections often come with a high fever, chills, difficult and painful breathing, and a cough that produces thick yellow-green sputum. Diagnosis is mostly a non-issue with influenza. When you get walloped with the flu you usually know what hit you. The intensity and fast onset of the symptoms give it away. There are tests that your doctor can prescribe to identify the viral strain that is responsible, but this is not always done. Diagnosis is rather determined by symptoms and what is going on in the community at the time. More commonly, a sputum sample is needed if a patient develops a secondary infection, often to find out if it is bacterial. Antibiotics are the usual go-to for secondary infections, but be careful. Antibiotics are terribly over-prescribed, and often immunity builds up to them so that they become ineffective. I would highly recommend to stay away from the fluoroquinolone antibiotics such as Levaquin, Cipro and Avelox. Talk to your healthcare practitioner about saving the antibiotics weapon for when it is really needed. Basically the most important cause of flu and colds is an immune system that is not optimal. 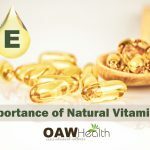 However over the last few years, more and more research has determined that coming down with a cold or the flu may actually be a symptom of a vitamin D-3 deficiency. Your immune system response is likely impaired if you have less than optimal vitamin D levels. This will make you much more susceptible to “catching” colds, flu as well as other respiratory concerns. Consuming too much sugar and too many grains. Emotional stress in your life. What Treatments Are Available For the Flu and Cold Season? Basically, the flu, like any viral infection, must run its course. There is no quick cure. So, the goal of any therapy is to manage the symptoms and keep potentially serious complications at bay. There are medications approved for use to fight the virus (amantadine-hydrochloride, and rimantadine-hydrochloride), but these are relatively new, and there are some serious side effects associated with them. These include seizures, delirium, and hallucinations. Be very careful of these drugs if you are prone to seizures, have any psychiatric disorders, or kidney issues. Speaking of being careful, what about the flu vaccine? Is the risk (and there are risks) worth the potential benefit? The influenza vaccine and vaccines in general are very controversial. Many of them contain mercury and other toxic substances and leave a residue in the body that can come back to haunt a person many years later. The immediate reaction that some experience to the vaccines can range from mild to severe. Some studies have shown that vaccines can lead to such conditions as autism and ADHD, sometimes years down the road. The biggest concern, in my opinion, is that the strain(s) of flu in which to target the yearly flu vaccine is a “best guess” scenario. Very often that “best guess” is incorrect. The media and government are constantly pushing for these vaccines and others, so resistance to them is not very popular or politically correct. And, incidentally, there are small fortunes made by the drug companies that manufacture vaccines, so there is also a lot of money at stake as well. This is not a formula for high integrity in my opinion. There is enough doubt about the safety of these vaccines in my mind to warrant much personal research before making a decision. Would I say that no one should get vaccinated? That is a personal decision that each of us must make, and I would like to see it stay that way. However, there is a movement in this country to take the freedom of making personal health decisions away from the individual and put it into the hands of the government. Personally, I do not want to lose my freedom of choice when it comes to health decisions, and I certainly don’t trust Uncle Sam and Big Pharma to make those decisions for me. Stress Reduction. This is important enough to list as #1. Your thymus and adrenal glands are the power seat of the immune system. When your body is getting sick, or is already sick, it is under stress and stress taxes and brings down your immune system. Researchers have linked vulnerability to colds and flu to psychological stress which is why we tend to see more colds and flu during the very hectic holiday season. Perform a digestive tract cleanse and keep your liver supported. Cleanse at the beginning of every season. Eat Healthy & Organic – lots of vegetables, fruits. Incorporate herbs and spices that have anti-fungal properties. Include lots of healthy oils in your diet such as coconut oil, high-quality olive oil, flax seed oil, etc. AHCC increases natural killer (NK) cell activity and provides support to your immune system. One capsule twice daily. AHCC (Active Hexose Correlated Compounds) are beta glucan compounds derived from mushrooms. They specifically activate NK cells, which combat infections. Both preventative and for flu and cold. Transfer Factor – A purified derivative of colostrum. Ensures a strong immune system. 200 mg three times daily. Both preventative and for active flu and cold. Organic Vitamin D-3 daily especially if you are unable to get some sun every day. Spray your desk, computer keyboard and telephone with a natural disinfectant spray – use this often. Other important non-pharmaceutical interventions for preventing influenza can be recalled by using the acronym “WHACK”, as in “WHACK the Flu” (Stebbins 2011; Yardley 2011; Mayo Clinic 2011). These flu-preventative measures should be taught to children as well as adults. W ash or sanitize your hands frequently. H ome is where you should be when you are sick. A void touching your eyes, nose, and mouth. C over your coughs and sneezes with a tissue or the inner crook of your elbow. K eep your distance from sick people when possible or wear a mask. In addition to avoiding those infected with influenza, the CDC also recommends all linens, eating utensils, and dishes used by sick individuals be thoroughly washed in a dishwasher or by hand with soap and water prior to being used by anyone else (CDC 2011a). Yes, there are many excellent options you can implement, if you find the flu is knocking at your door. The best course of action is to use therapies that will relieve symptoms and boost the immune system to avoid complications. Many of the above suggestions for prevention can also be used for active cold and/or flu. Drink lots of fluids, filtered water being the best choice. Herbal teas and diluted fruit juices are good as well. Fluids are extremely important for several reasons. First they keep the respiratory tract moist, which makes it harder for viruses to do their dirty work. Secondly, fluids stimulate the white blood cells and make them more effective. Selenium – Lessens severity of illness, reduce “cytokine storm” and support immunity. 200 mcg daily. Selenium acts like a birth-control pill for viruses, limiting their replication. Mycozil – All-natural blend of potent herbs and enzymes that support detoxification of yeast and undesirable fungal organisms. Colloidal Silver – Before the antibiotic era, it was common to us silver solutions to treat wounds and infections. 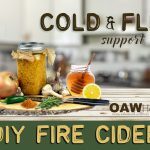 Fire Cider Cold & Flu Recipe – A great folk remedy to have on-hand for the cold and flu season. Eat small amounts of highly nutritious foods, such as organic fruits and vegetables. Try to incorporate into your diet anti-fungal fruits, vegetables, spices, herbs, etc. A good recipe for homemade chicken soup can help. Not only will this comfort food be tasty, but loaded up with garlic, onions, ginger, and cayenne pepper, it will have healing properties too. It’ll fight congestion and boost the immune system. See my homemade Healthy Chicken Soup Recipe. Homeopathic remedies: Oscillococcimum (take at the first signs of flu); Aconitum napellus, Belladonna and Eupatorium perfoliatum – help to ease flu symptoms. Caution: Do not use this formula if pregnant. If you have the flu, stay home! Sickness-warriors notoriously take longer to heal and end up exposing everyone in their path, unnecessarily, to the flu. Cayenne (capsicum) helps to keep mucus flowing, aiding in preventing congestion and headaches. Colloidal Silver: Has anti-viral and anti-bacterial properties. I recommend ACS200 Extra Strength. Elderberry: antiviral, anti-inflammatory, stimulates sweating, helps runny noses. 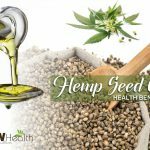 Reduces aches, pain and fever. Israeli research has confirmed the activity of elderberry extracts against the influenza virus. Astragalus: immune system booster, helps the body deal with stress. Do not use astragalus in the presence of a fever. Boneset infusion: expectorant and eliminates mucus from lungs. Do not use on a daily basis for more than one week. Echinacea: This one does it all! Lessens: sore throat, fatigue, chills, sweating, body aches, and headaches. Do not take echinacea for longer than three months. Zinc: immune system booster, helps with many symptoms of respiratory illnesses. Great for colds too. I recommend zinc orotate at the first sign of a cold or flu. Do not take zinc at the same time you eat or drink citrus fruits or juices. It will diminish the effectiveness of the zinc. Chickweed, ginkgo biloba, mullein, lobelia, black radish: all of these herbs have shown promise in helping to relieve various symptoms related to lung illnesses. Check with your healthcare practitioner. Warning: Your Flu-Like Symptoms May Not Be The Flu! When most people talk about flu symptoms, they usually do not suspect that they may also have a coinfection with a fungus (mold) that could be causing some of their symptoms or prohibit them from getting well after they take antibiotics. Many molds (fungi) such as Aspergillus, Histoplasma, Cryptococcus, Candida, Coccidioides and Stachybotrys that are well known to cause flu-like symptoms such as coughing, sneezing, sore throat, irritated, itchy throat, chills, headache, chest pain, body aches, and even asthma. The fungus known as Histoplasma can cause you to have flu-like symptoms such as a fever, cough, fatigue (extreme tiredness), chills, headache, chest pain, and body aches. The CDC says that Histoplasma can cause a disease known as histoplasmosis and symptoms may appear between 3 and 17 days after a person breathes in the fungal spores, and for some people histoplasmosis can develop into a long-term lung infection, or it can spread from the lungs to other parts of the body, such as the central nervous system (the brain and spinal cord). Fungal meningitis also causes flu symptoms. The different types of fungi include Cryptococcus, Candida, Histoplasma, and Coccidioides. Valley Fever is another serious fungal infection caused by the mold Coccidioides, which live in the soil. It is prevalent in the Southwest U.S. and causes flulike symptoms. There were more than 22,000 cases of Valley Fever reported in the Southwest in 2011, up from 2,265 cases in 1998, according to the report from the Centers for Disease Control and Prevention (CDC). Because fungus particles spread through the air, it’s nearly impossible to completely avoid exposure to this fungus in these hardest-hit states,” CDC director Dr. Tom Frieden said in a statement. “It’s important that people be aware of Valley Fever if they live in or have travelled to the southwest United States,” he said. If you are experiencing flu-like symptoms and issues with your lungs, consider the fact that mold (fungus) may be the cause of your symptoms or the possibility of a coinfection. This is especially true if you have experienced previous exposure to mold, whether it is outdoors or in your home. If you do not know if you have mold in your home and suffer from mysterious illnesses, allergies and or asthma, it is imperative that you have your home tested for mold (fungus). As with most health issues, prevention through a healthy diet, exercise, hand-washing, stress reduction and common sense is far more effective than anything that can be done once an illness has taken hold. Remember that once influenza/flu has taken hold in the very young and the elderly, severe complications can quickly arise. Please see your healthcare provider immediately if your symptoms become severe. We, as Americans, can have a great impact on our personal and national health by simply choosing to pursue wellness in a proactive manner. CAUTION: Before using any supplements or herbs, always check with a trusted healthcare practitioner for any contraindications (especially with medications) that may affect your health situation. If you flu symptoms worsen or other symptoms appear, speak to your healthcare practitioner immediately. Kaplan J, Hess JW, Prasad AS. Impairment of immune function in the elderly: association with mild zinc deficiency. In: Essential and Toxic Elements in Human Health and Disease. New York, NY: Alan R.Liss; 1988:309-317. Fluoroquinolone Drugs side effects warning – Food and Drug Administration has issued new safety warnings (July 10, 2018). van der Strate BW, Beljaars L, Molema G, et al. Antiviral activities of lactoferrin. Antiviral Res 2001;52:225-239. Murray MT. The Healing Power of Herbs. 2nd ed. 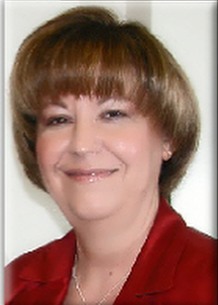 Rocklin, CA: Prima Publishing; 1995:92-107.
. J Int Med Res 2004;32:132-140.